Getting to Know Your Chimney Liner | 2nd Generation Chimneys, Inc.
A chimney liner is, well, a product that lines your chimney. The chimney liner is of course made of non-combustible materials, with the most common being stainless steel or clay. The purpose of the liner is to allow combustion gases and smoke to escape your chimney without the risk damage to that chimney or for fires to occur. Why Is a Liner Necessary? Using a liner made of stainless steel or clay provides extra protection for both your safety and for your chimney itself. The intense heat that comes with combusting wood in your fireplace can actually damage a chimney if a proper liner is not in place. Remember, the air outside that chimney is likely going to be quite cold when you are using your fireplace. That difference in temperature can cause trouble for masonry, and the interior heat itself can lead to cracks in traditional liners. Your chimney liner is not going to last forever, unfortunately. You should be having your chimney cleaned and swept out each year. During that important maintenance service, your chimney technician will assess the condition of your chimney liner and he or she will discuss any issues with you. This could be the warping of your liner, cracks, etc. Choosing your chimney liner is a big decision to make, and it is not one that you can rush through. Be sure to work with a member of our team to ensure that your new chimney liner is of the right make for your particular needs. Once we’ve worked with you to determine which type of chimney liner is best for your situation, we’ll complete the job of installing that chimney liner with the utmost care. We’ll make sure that it is sized accurately and put into place properly every step of the way. Then you can use your fireplace safely and reliably. 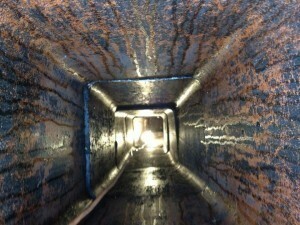 Schedule your chimney liner services with 2nd Generation Chimneys, Inc.